To attempt to stage an opera in a small 110 seat Pub Theatre seems like an impossible task that should not be taken lightly. Not only did The Kings Head Theatre attempt the impossible, but they also achieved it. Bizet's Carmen is one of the most loved Operas around, and one of the most famous. With the iconic music known by all, Carmen has brought Opera to the masses. 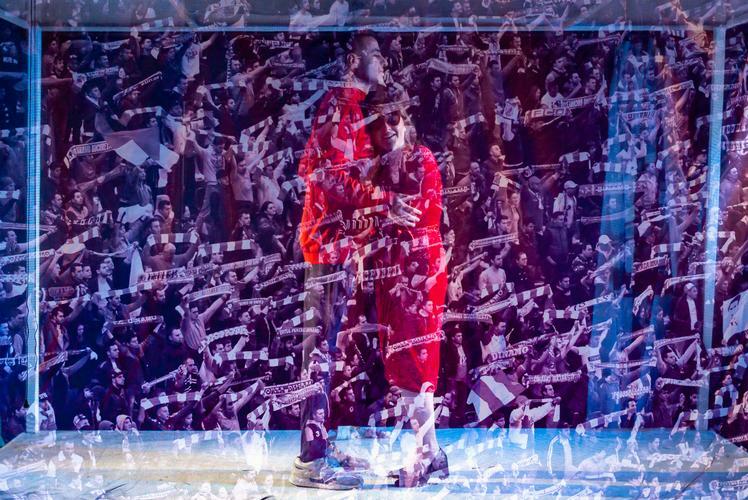 This brand-new production of Carmen uses the iconic music twinned with updated lyrics sung in English to bring the story crashing into the modern day, with an all too familiar story in the current climate. Reduced to a cast of three, this fast-flowing modern opera hits you with comedy and tragedy in equal measures, taking its audience on a whirlwind ride of emotions. Dan D'Souza was the third point of the deadly love triangle of Carmen's life, Escamillio. Played as a top-class premiership footballer, the role injected some brilliant comedy to counteract some of the more serious moments. The Toreador Song was a highlight, performed superbly and with great comedic timing. Mike Bradley formed the other strand of Carmen's desire, Jose. Creating a character that made you both love him and hate him, the chemistry and angst between Jose and Carmen was incredibly believable, leaving the audience genuinely fearing for Carmen, despite Bradley's exquisite voice. Jane Monari played the title role of Carmen. To put it simply; superb. With a full character arc, from the flirtatious young girl trying to get what she wants to the strong, independent woman and culminating in becoming a victim of a toxic relationship, Monari created a performance of exquisite beauty. A believable and beautiful character from start to finish, with a voice to match. The highlight of the performance was Habanero. The very clever use of the performers to create the percussion of the piece, along with fantastic staging was a delight on the eyes and ears. The all-new Bizet's Carmen brings Opera to the masses like it never has before.